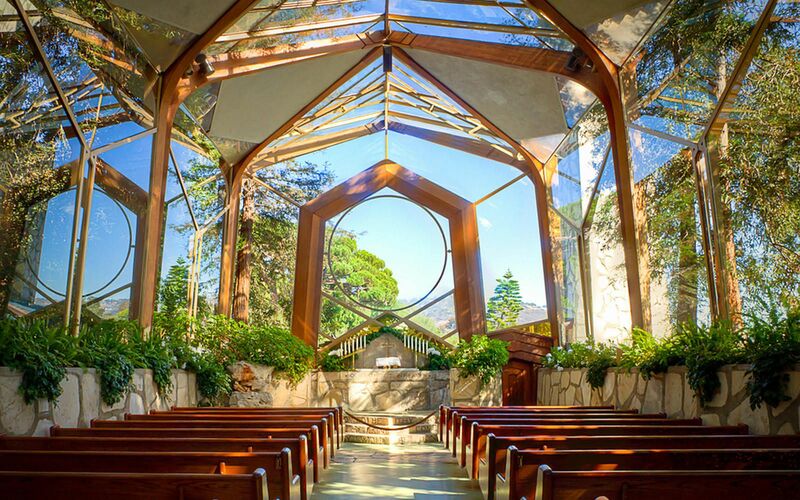 Imagine your wedding in one of the most romantic and awe-inspiring places on earth — Wayfarers Chapel. 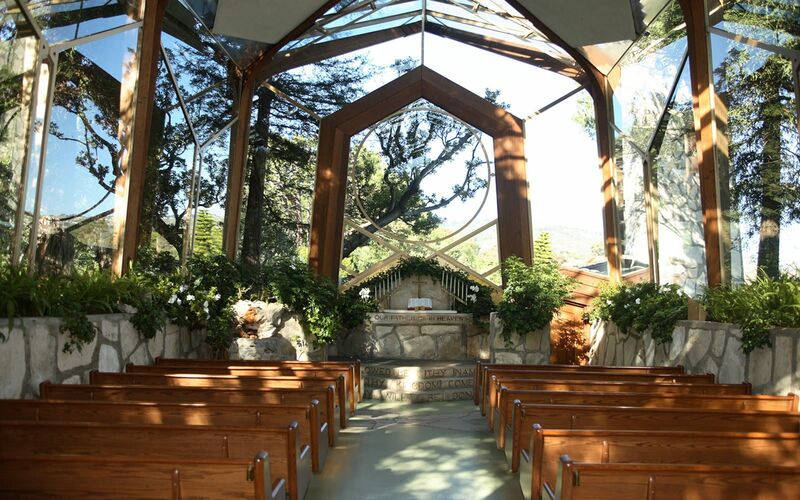 For over fifty years, Wayfarers Chapel has welcomed couples from all religious backgrounds to celebrate their wedding in this natural sanctuary. 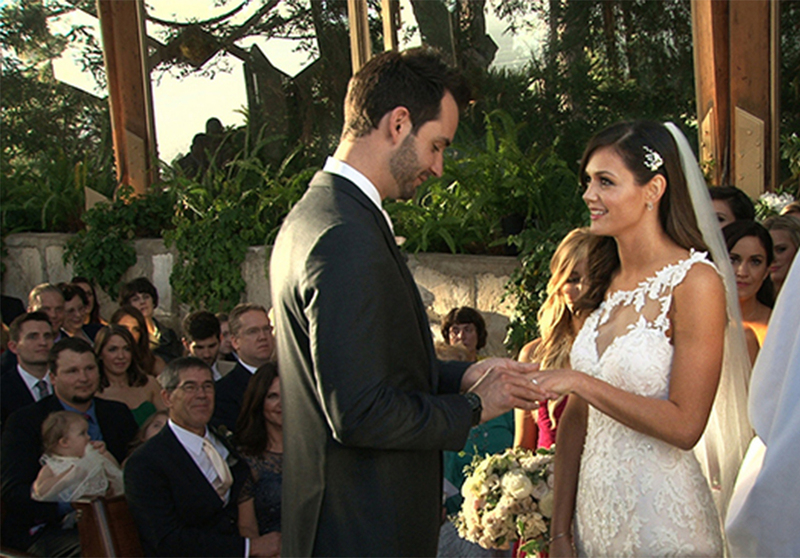 Season nine Bachelorette Desiree Hartsock and new husband Chris Siegfried on their dream wedding day. 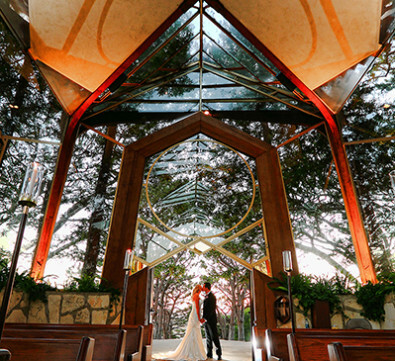 On January 18th, 2015 the couple exchanged vows at Wayfarers Chapel and began their new life together as Husband and Wife! 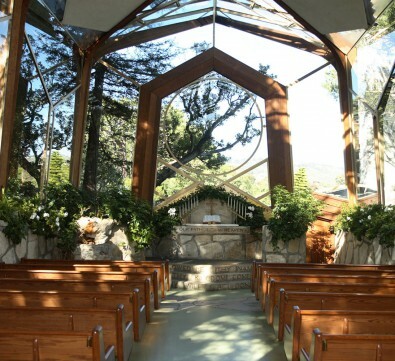 For more information about weddings at Wayfarers Chapel, please contact us or call 1 (310) 377-1650. 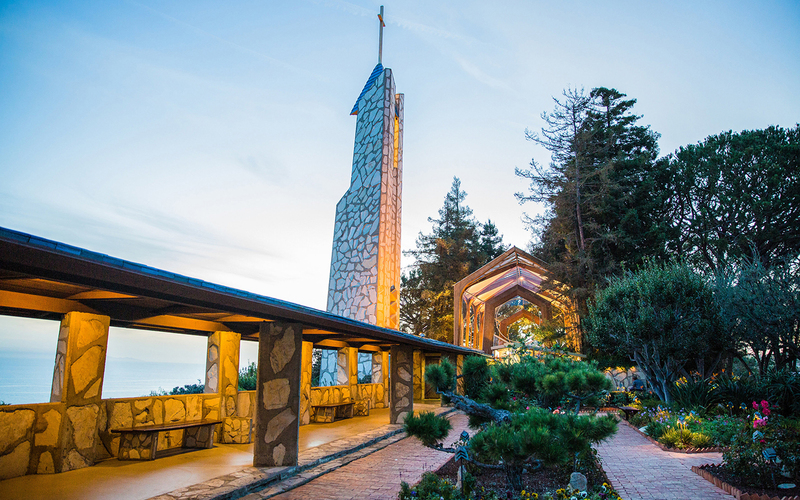 Shortly after World War II Chapel Architect Lloyd Wright, son of pioneering American architect Frank Lloyd Wright, found inspiration to the design of Wayfarers Chapel on a trip in the redwood forests of northern California. 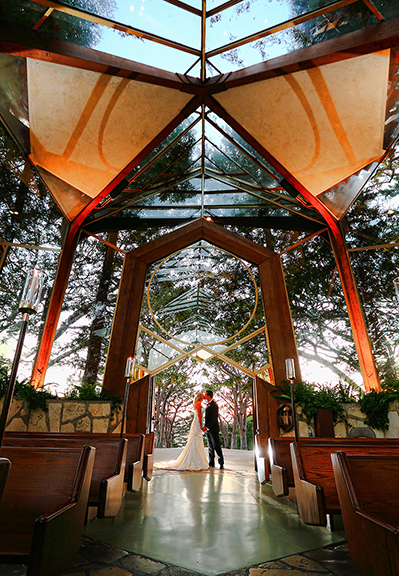 When he saw how the redwood trees formed a majestic cathedral-like sanctuary, and decided to use that in the Chapel design. 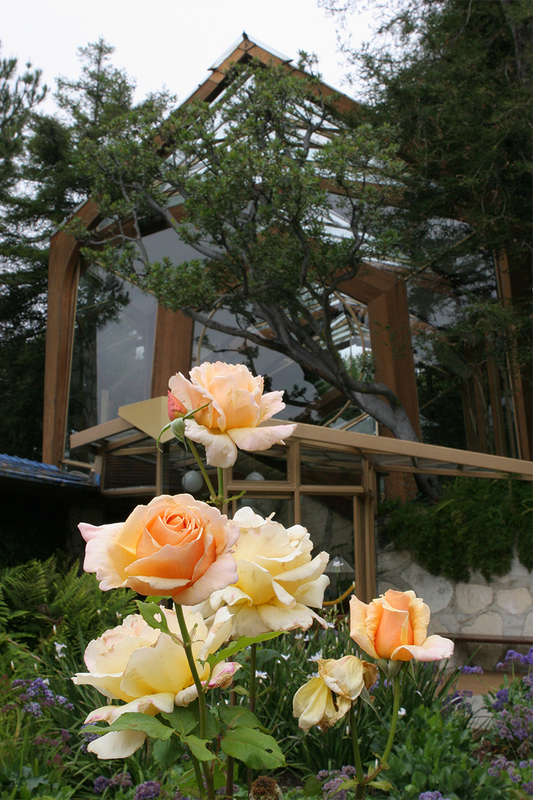 He used the glass to create a sense of outer as well as inner space, and to give protection to the wayfarers. 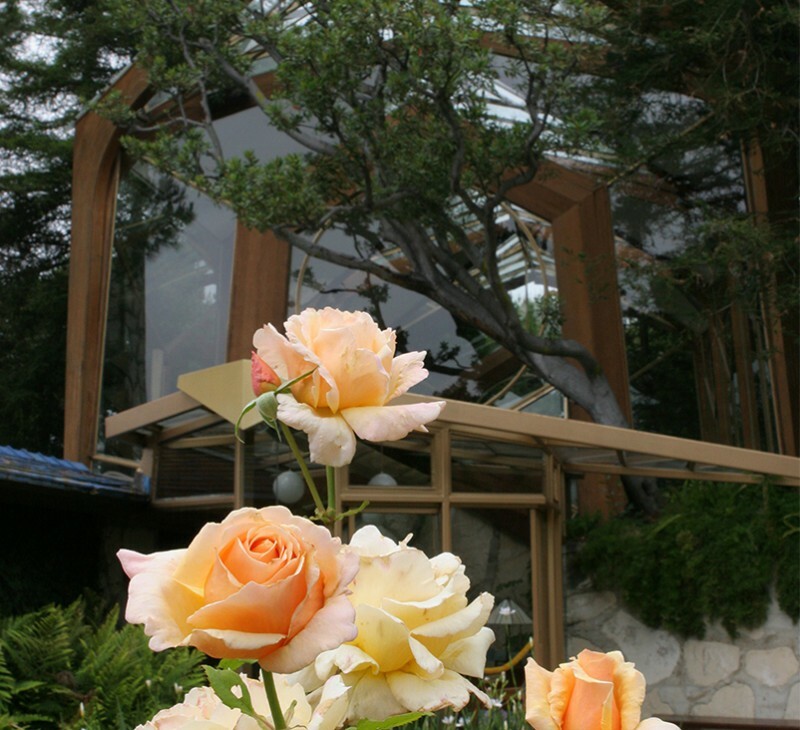 Lloyd Wright’s design is one of the foremost examples of organic architecture. 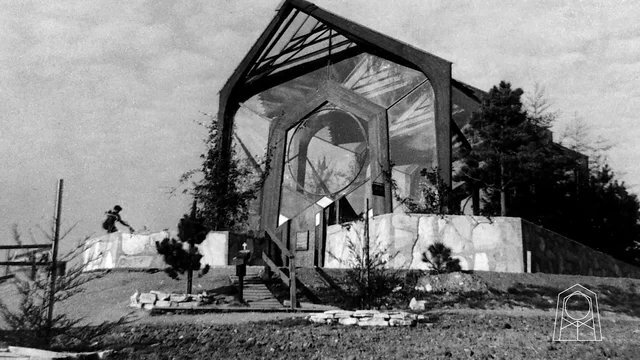 Wayfarers Chapel is listed on the National Registry of Historic Places. 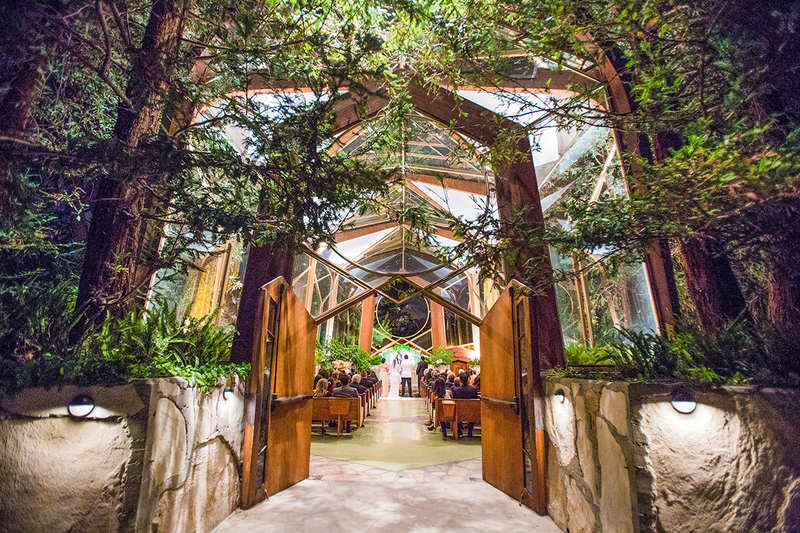 Lloyd Wright designed the Wayfarers Chapel to be a “tree chapel”, a natural sanctuary set in the midst of a forest. 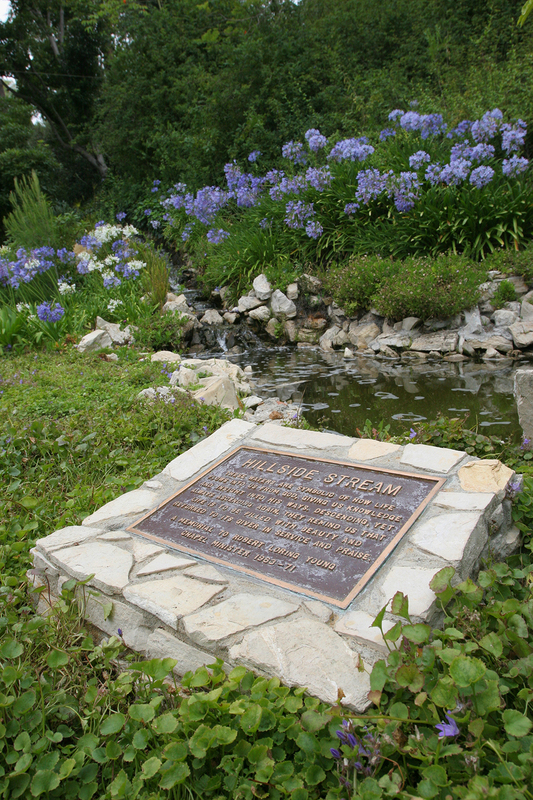 Because the trees and plantings were as important as the architecture, Lloyd Wright integrated the landscaping into the original construction plans. 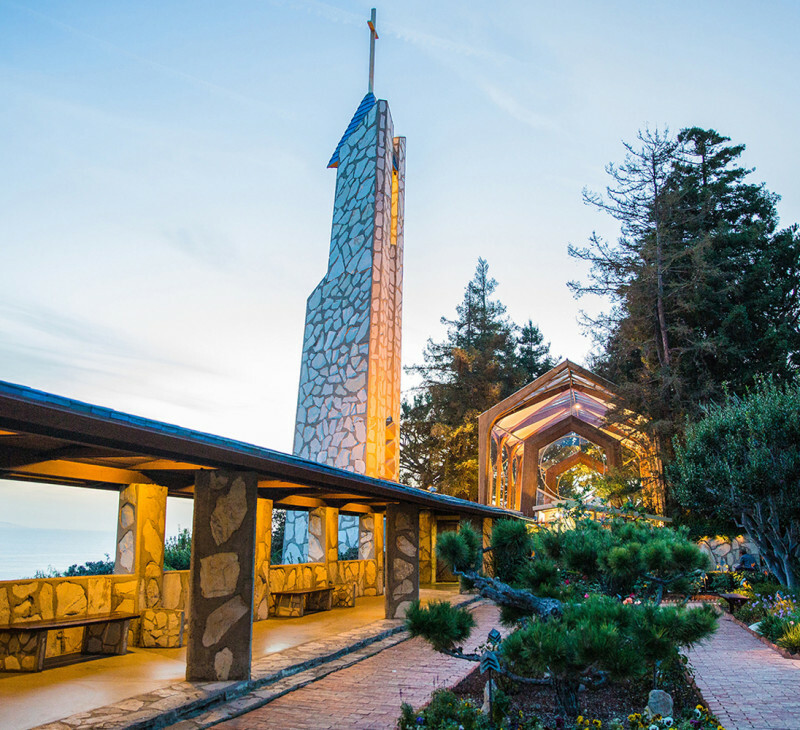 He designed the site, landscaping and gardens to reflect the beauty of the botanical plantings found on the floors of the northern redwood forests of California. 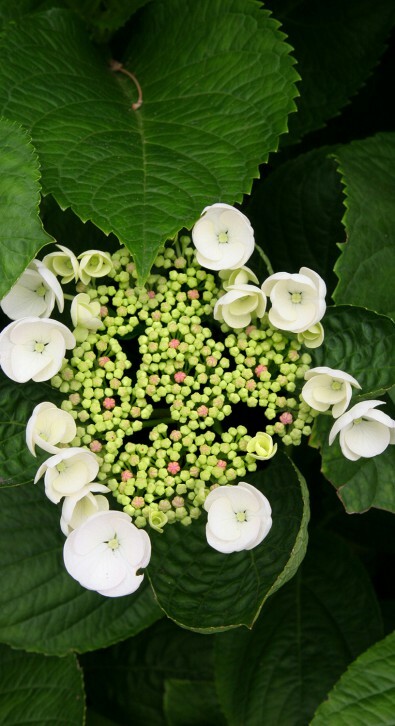 The task of implementing the botanical vision that began with the Chapel construction continues today, and will be carried out in the future. 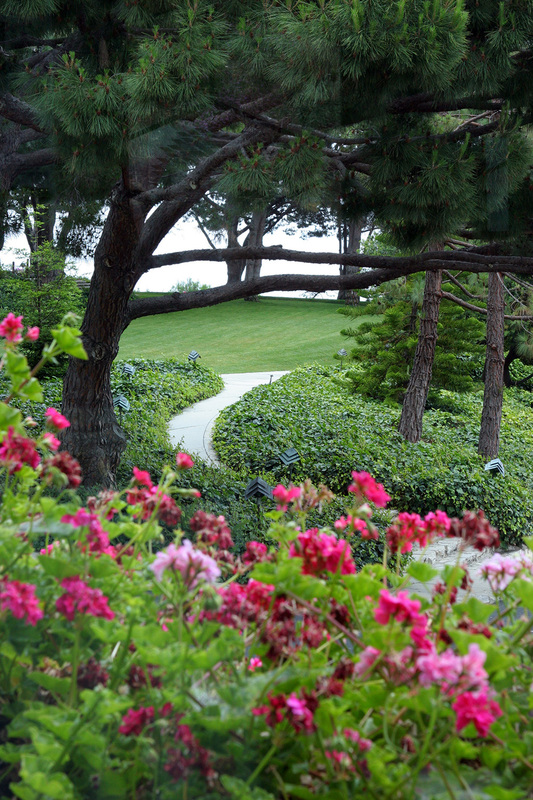 Native California plants and trees are called for throughout the grounds. 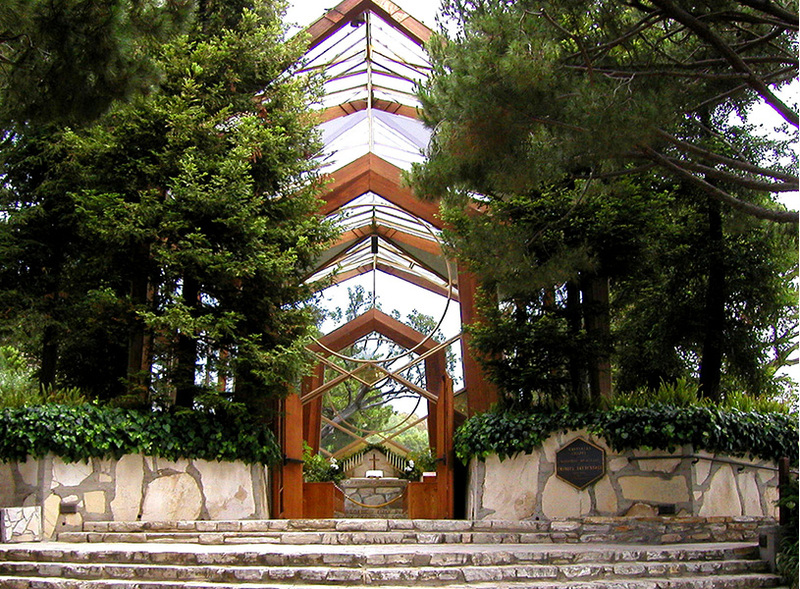 Redwood trees are featured in the planting berms on either side of the Chapel. Planted more than a half century ago, they are just now reaching their maturity. 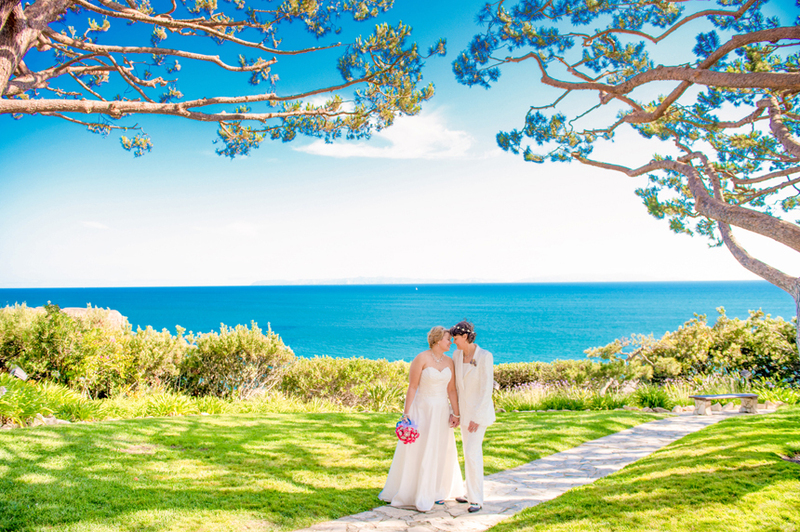 Italian Stone pines are planted along the sidewalks surrounding the Chapel and their graceful branches arching overhead to form arbored walks. 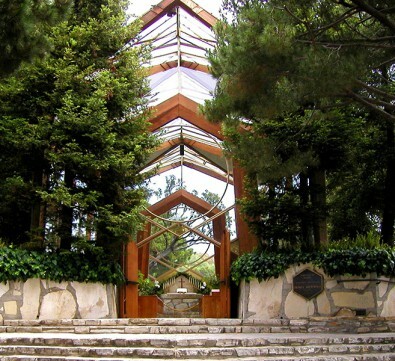 Other trees are planted around the grounds: Canary Island pines, olives, bays, peppers, apple, toyon, apricot, ficus, and junipers. 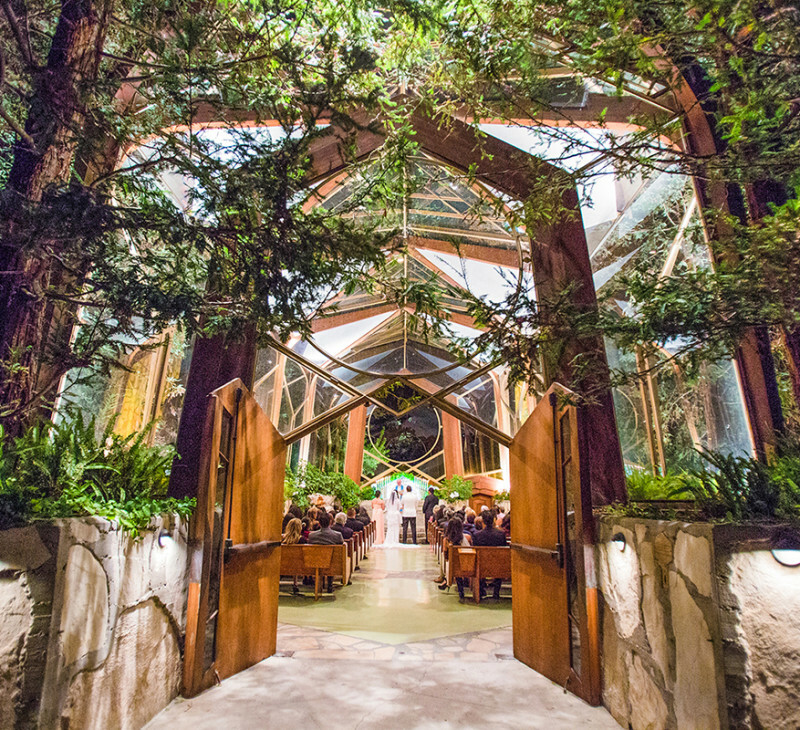 The Forest Floor Garden, located between the Chapel and the Reflection Pool, features many of the plants found in redwood forests: ferns, azaleas, irises, rhododendron, and redwood sorrel. The Rose Garden bordering the Colonnade is known for its roses that bloom year round, as well as some flowers mentioned in the Bible such as lilies, crown of thorns and aloe. 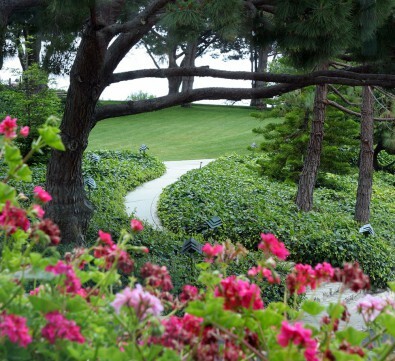 Extensive lawns and outdoor grass amphitheater complete the 3.5 acres site, and complement the numerous gardens. 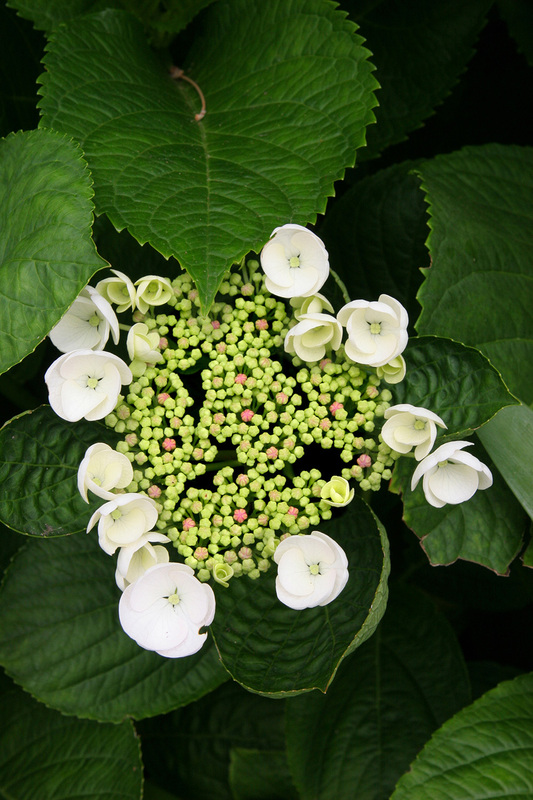 To maintain the simplicity and naturalness of the gardens and grounds a master landscape plan, initiated by architect Lloyd Wright, and enhanced by his son, architect Eric Lloyd Wright, guides development. 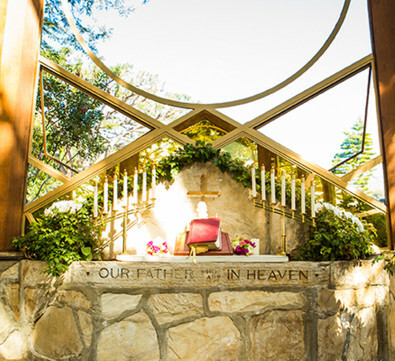 Many of the plantings gracing the Chapel site were given as memorials. 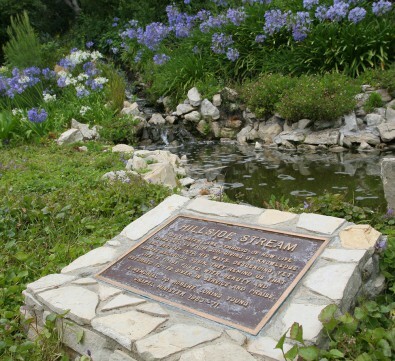 The landscape plan may be viewed in the Visitors Center where information on memorial plantings may also be obtained. 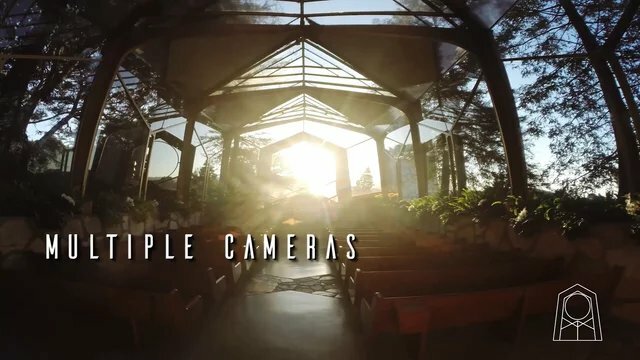 The Wayfarers Chapel Video crew has filmed multi-camera weddings at the Chapel since 2004. 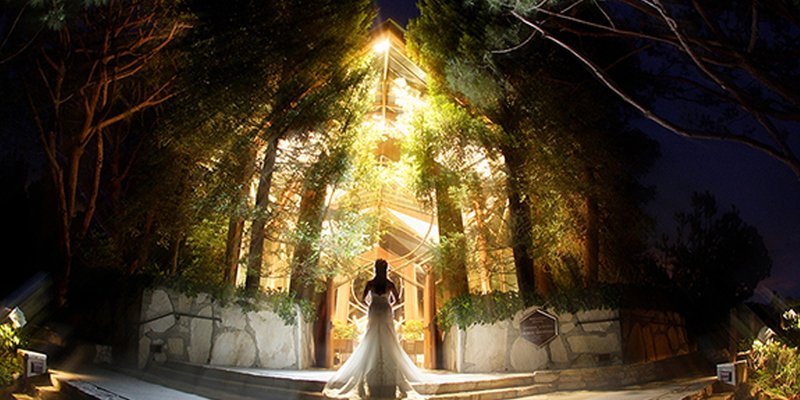 Their experience and knowledge in capturing weddings at Wayfarers Chapel is unparalleled. 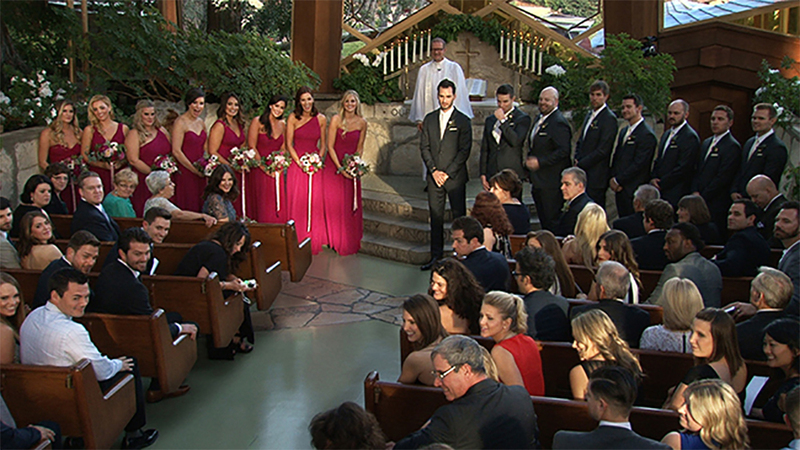 Using state of the art camera equipment and Internet webcasting technology, Wayfarers Chapel Video is capable of exclusively capturing multiple-camera angles and blending these shots into a seamless production that can be given to the couple before they leave the grounds. 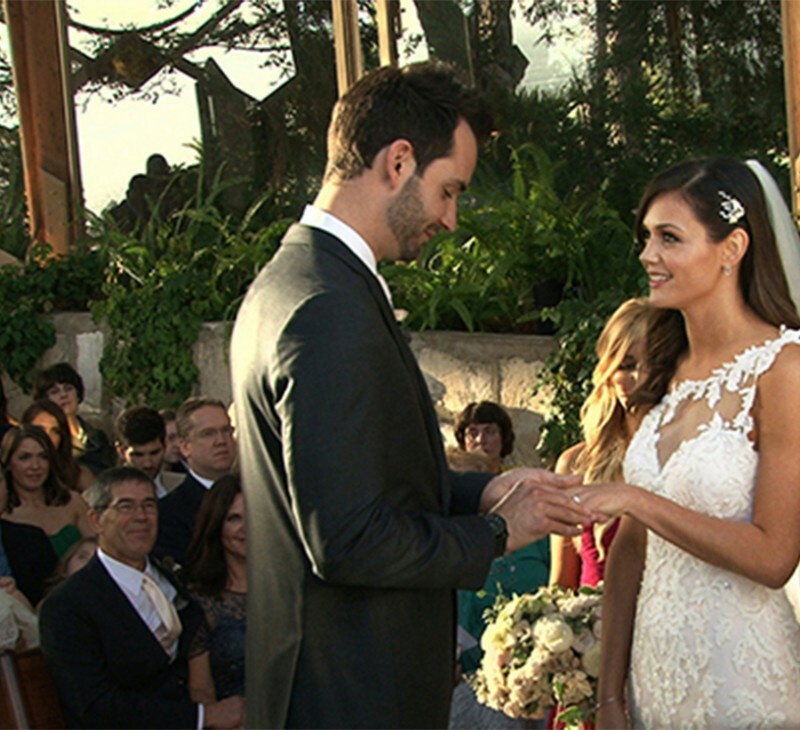 The wedding ceremony can be webcast live to be viewed remotely by family and friends who are unable to attend. 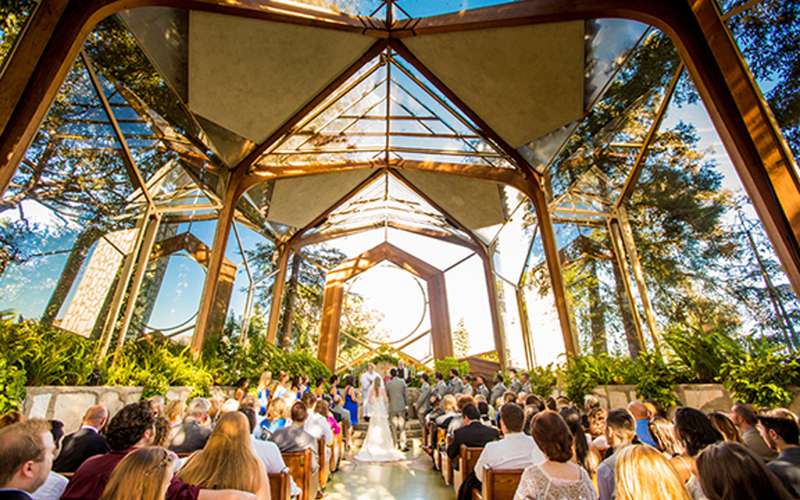 “Our goal is to provide a quality, well-produced program of your wedding ceremony that can be enjoyed instantly and forever.” ~Steve Smith, Wayfarers Chapel Video Director. 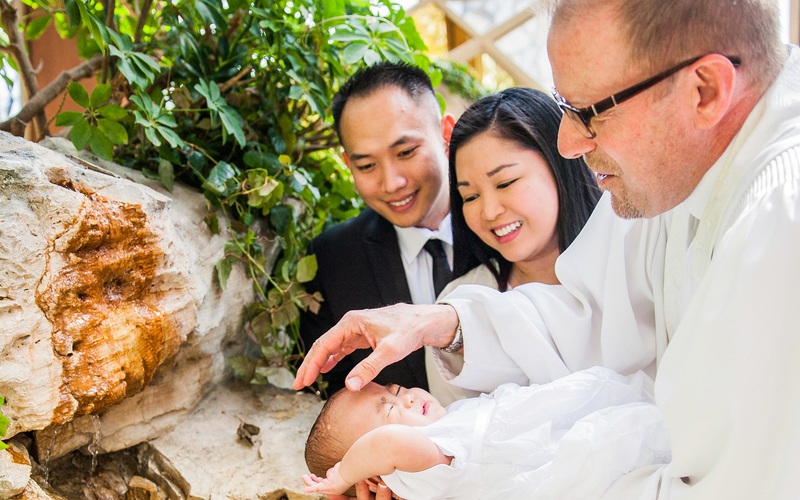 The Minister determines the appropriateness of all music and its placement in the ceremony. 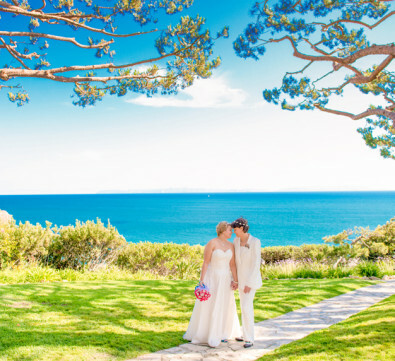 Below you can listen to sound tracks of Wedding Music Samples and suggestions. In addition, you may review additional options at your Planning Meeting. 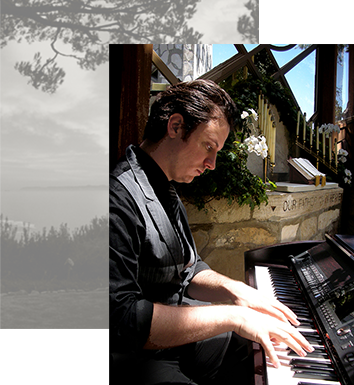 Music for your wedding is played on the Chapel's Yamaha Clavinova. This is a single keyboard instrument with the capacity to sound like a piano, organ or harp, as well as other instruments. Only the Chapel keyboardist is permitted to play the keyboard. 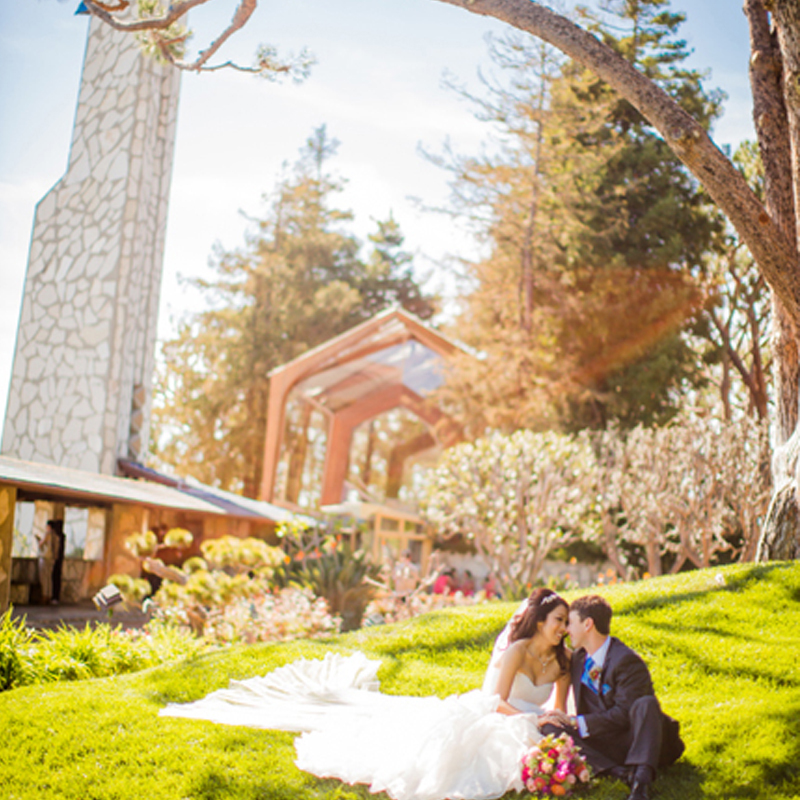 To discuss your music needs, please contact the Chapel Music Director. Please contact the music director if you would like to make arrangements for additional musicians from the The Chapel Musician’s list, including harp, cello, violin, trumpet, flute, oboe, guitar, viola, bagpipes, vocals, etc. 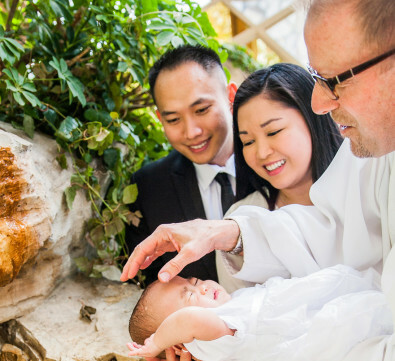 You may also provide your own musician(s), who should arrive one hour before the scheduled wedding time. 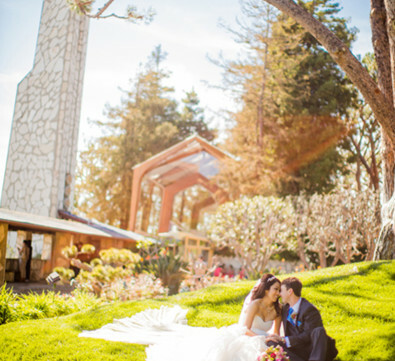 They may rehearse quietly in the Chapel up to thirty minutes before the scheduled wedding time. If you have favorite recordings you wish to play, you may bring them on a digital playback device. 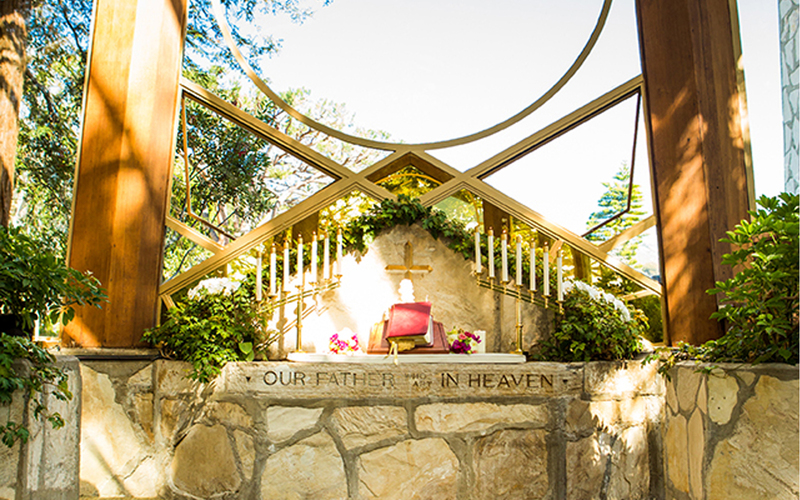 No microphones or amplification is needed or permitted in the Chapel. READ MORE for additional information about The Chapel Musicians.